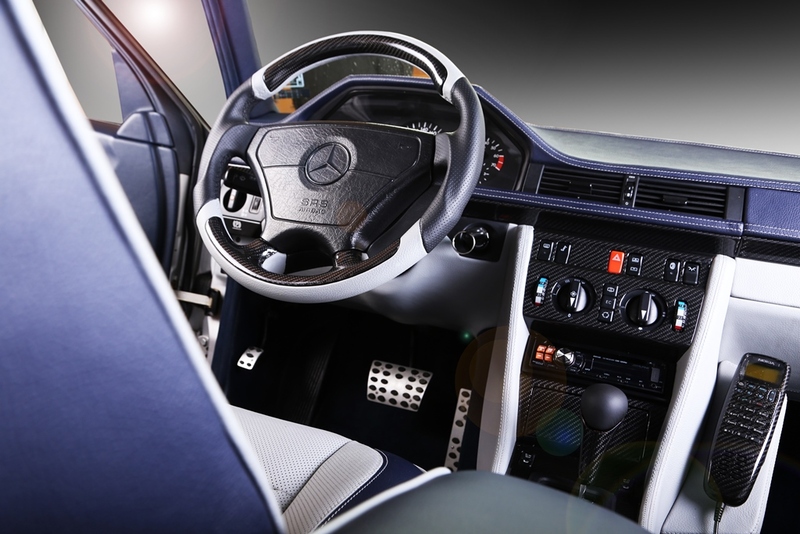 The Mercedes 500E w124 might still be a capable performance sports car by today’s standards, but time definitely took a toll on its boxy, sharp interior/exterior style. Each 500E was hand built by Porsche, as the model was created and developed in close cooperation with the Stuttgart sports-car manufacturer. It was powered by a 5.0-litre V8 that was good for 322 hp and 480 Nm of torque – enough to take the mid-size luxury car from 0 to 100 km/h about 6 seconds, all the way to a top speed of 260 Km/h. So, would you modify a genuine 500E? 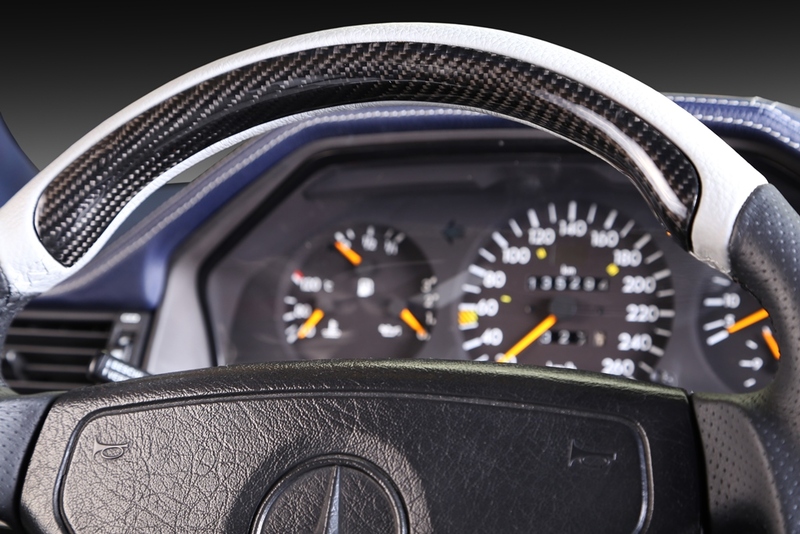 Well, Carbon Motors did (cosmetically, at least), continuing the tradition of handcraft work for the big Merc. 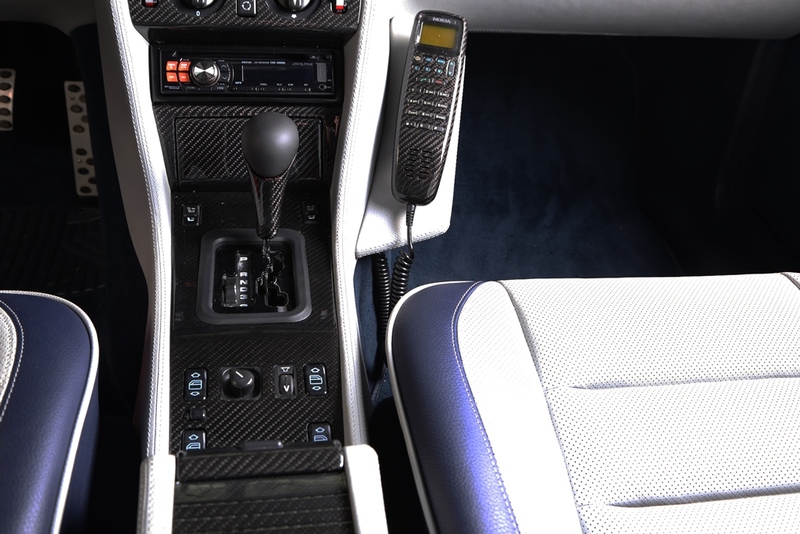 The interior was completely redone, with the seats lined in blue and grey leather combination; the headliner was tailored in blue Alcantara, the pillars in blue leather and the dashboard upholstered in blue leather with grey decorative stitching. 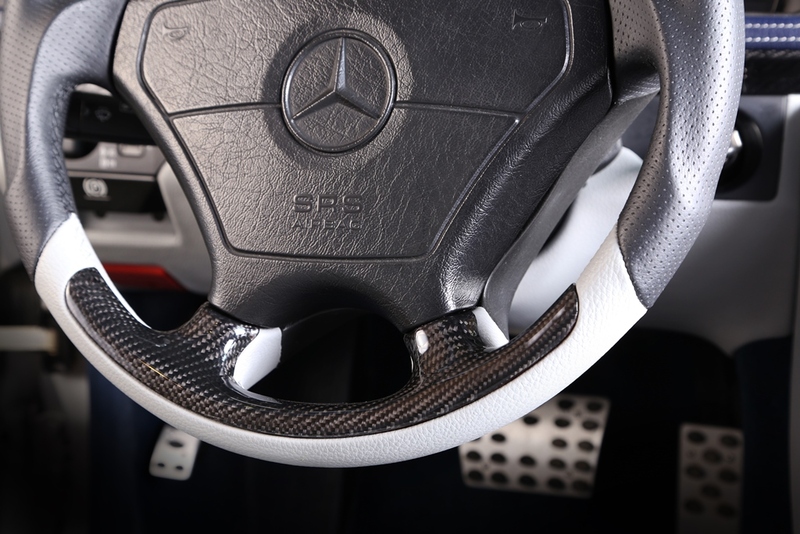 The finishing touch performed by Carbon Motors was, of course, the abundance of carbon fiber bits and pieces added. 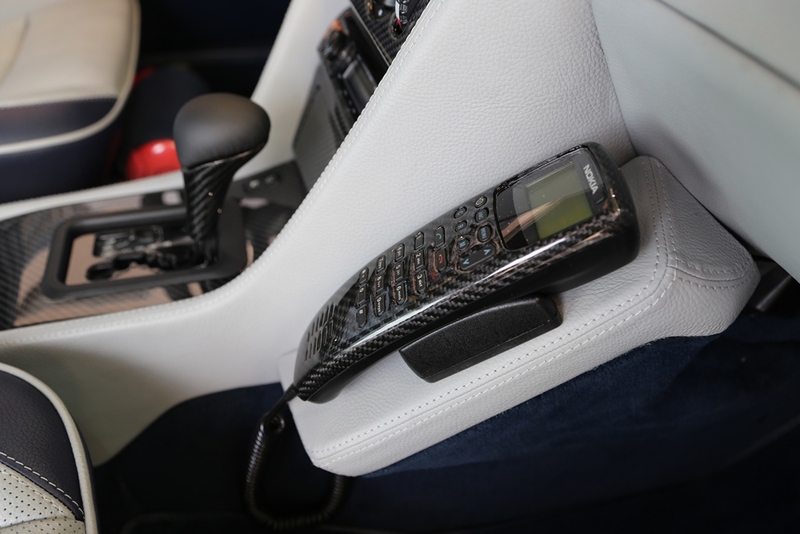 Now, all the interior trim panels and stripes are in made out of “premium carbon fiber”, as well as the steering wheel and even the Nokia phone. The pictures speak for themselves when it comes to attention to details, as Carbon Motors managed to bring the old “wolf in sheep’s clothing” to modern standards.